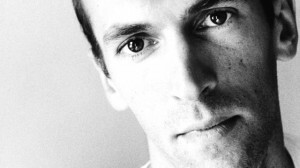 Benjamin Markovits, recently announced as one of Granta magazine’s Best Young British Novelists, has published six published novels including the highly acclaimed trilogy on the life of Lord Byron: Imposture, A Quiet Adjustment and Childish Loves. He was brought up in Texas, London and Berlin and was at one time a professional basketball player. Not afraid of stretching the form of the novel, his works are marked by dazzling, layered narratives and intense, gorgeously effective and affecting prose. Critic Mark Lawson, writing in The Observer, said “Childish Loves is a very, very odd book, although I mean this as a high compliment in a time when so many authors are content to write again a novel that either they or others have previously written.” He is taking part in EWWC Kuala Lumpur this weekend discussing ‘Should Literature Be Political?’. EWWC: Have you been to Malaysia before? Markovits: I haven’t been to Malaysia but I have been to a megacity before, São Paolo. I like megacities; that combination of mega corporations and high rises with wonderful little traditional areas scattered in between. I’m really looking forward to it. EWWC: Do you think the experience of being a writer varies according to where you live or what your nationality is? Markovits: I think writing seems to mean something very different everywhere. A few years ago I played in something called the Writers World Cup. We were playing against Hungary, and all the Hungarian writers were authors of books of literary essays, a form which basically doesn’t exist here anymore. They were thinking up complicated responses to Beckett and getting paid to have that published; and you could tell that what it meant to be a writer in Hungary was something very different [to the UK/US]. I raised this same question in Moscow [Markovits travelled to Moscow as part of the Granta / British Council Best of Young British Novelists global launch series] about how the idea of censorship can seem bizarre to an English writer because the best way of getting people to ignore a book is to publish it. There are class associations with being a writer [in the US / UK]. I’m a product of the usual chain of events: my great-grandparents were immigrants; my grandfather’s family were in retail, and he then went to law school; my dad became an academic and I became the artist. You first get a financial foothold in a country, and once you feel confident you can produce kids who don’t need to overly concern themselves about making money and who can do what they want to do. There are writers who buck that trend but I don’t think mine is an unusual pattern. EWWC: You’re going to be discussing Should Literature be Political? this weekend. As a writer steeped in the literature and lives of the Romantics, whose work famously intersected with politics in various ways, what kind of parallels do you see between that time and ours in terms of politics and literature? Markovits: As you say, there was a political element to a lot of the Romantics’ thinking. Byron died fighting for Greek independence; Shelley could have been imprisoned had he returned to England and published some of his political essays. I like Byron’s politics actually; he’s a mixed figure and there are lots of unlikeable things about him, but there’s this wonderful line (in the Douglas Dunn edition of Selected Byron, quoting Disraeli) that people forget Byron’s sagacity, his shrewdness. He could play the buffoon and be completely ridiculous but he had a shrewd sense of human weakness and he was quite tolerant of it. Despite his political involvement he didn’t get too caught up in serious political theories. One of the things he said was: wealth is power and poverty is deprivation and this is true wherever you go. That’s what his political thinking came down to. And that seems persuasive to me. He also thought about writing as an alternative to politics. He liked to sign himself as “Noel Byron” – “NB” because, even though he got the ‘Noel’ from a wife he didn’t much like, it gave him the same initials as Napoleon Bonaparte; he liked to think of himself as a sort of Napoleon of verse. Sure, all writing is political in some way, but there’s something that I would say makes up a particularly ‘writerly’ kind of world view that’s different from a politician’s world view. Politicians don’t tend to be into moral ambiguity in the same way as writers. The politician’s response isn’t usually ‘I can see it from both sides, I’m not sure what to do about it. Maybe I won’t do anything.’ – that’s not their business. Even though there’s something political about that neutrality, it may not tell you things you want us to hear. The other thing is that there is a distinction between Byron’s writerly political involvement and his human political involvement. When he was in Greece he wasn’t writing – he was organising people and weapons and munitions and making decisions; writing didn’t get in the way of any of that. But even in his day Byron was an outlier. EWWC: Is there such a thing as a community or fraternity of writers? Historically we look at the Romantics as a movement with cohesion, common ground, form, linked concerns, complex personal relationships. What about now? Markovits: We look back on the Romantics and see them as a group, a band of writers writing together in relation to each other. And that’s partly true, but the reason we see them like that is because the writers who have survived are the ones who were good at keeping their name alive. Byron and Shelley’s relationship is famous but they weren’t really that close, there were people he liked more. So I wouldn’t want to overstate the writerly intensity of their lives. One thing which has changed since then is that there’s more gender equality now, definitely. And there’s also a big middle class. And the association with writing and men and a certain kind of privilege which was certainly significant in Byron and Shelley’s lives, just doesn’t work that way anymore. Writers nowadays are looking after kids and doing different jobs and living probably not very well. EWWC: You were recently awarded the accolade of being one of the Best of Young British Novelists. What would Byron have made of this? Markovits: If they were making lists of people whose writing counted, I think he would have been on that list. But the writers who make the list aren’t always the ones who count. That was true then and it’s true now. I think also the nature of the lists have changed, immensely. There’s a different publicity machine around it and it’ll mean a different thing in the future than it does now. But even in Byron’s day you needed a break to get attention; it wasn’t just the work, you needed something else. Scandal, fame, his looks – they all helped sell his books. EWWC: The EWWC questions are the same as those discussed at the International Writers Conference in Edinburgh 50 years ago. What questions do you think a World Writers’ Conference in 50 years’ time from now might address? Markovits: There are people who think that nothing ever changes fundamentally very much, and there are people who that that everything is changing fundamentally all the time. I tend to be in the camp that thinks nothing changes fundamentally, so I would suspect that in 50 years we’d be asking the same questions. But I could be wrong. The big forms change. The novel in Byron’s day was a long poem – now the long poem is mostly dead. It’s possible that the evolution of e-books may play a part in that change. One of the things you can do in an ebook that you can’t do in a paper book is take people off in two different directions at once; but what’s really happening there is that you’re taking control out of the hands of the writer and putting it in the hands of the reader, and the reader won’t have thought about it so much. I think that will happen, but I don’t think it’ll become dominant because of the basic fact that you can still only read in one direction at a time. So there’s a limit to its uses, but it might be an interesting experiment. I think the novel’s a really good form – it’s got a lot of life in it yet. So I suspect things won’t be too different where the novel’s concerned, but I could be wrong about that too. Markovits: I’d love to live in Berlin again. My kids could learn German properly.